Anne Stokes Dragon Zippo Lighter | BUDK.com - Knives & Swords At The Lowest Prices! Fantasy Artist Anne Stokes has created masterpieces that feature striking, life-like portrayals of fantasy subjects. 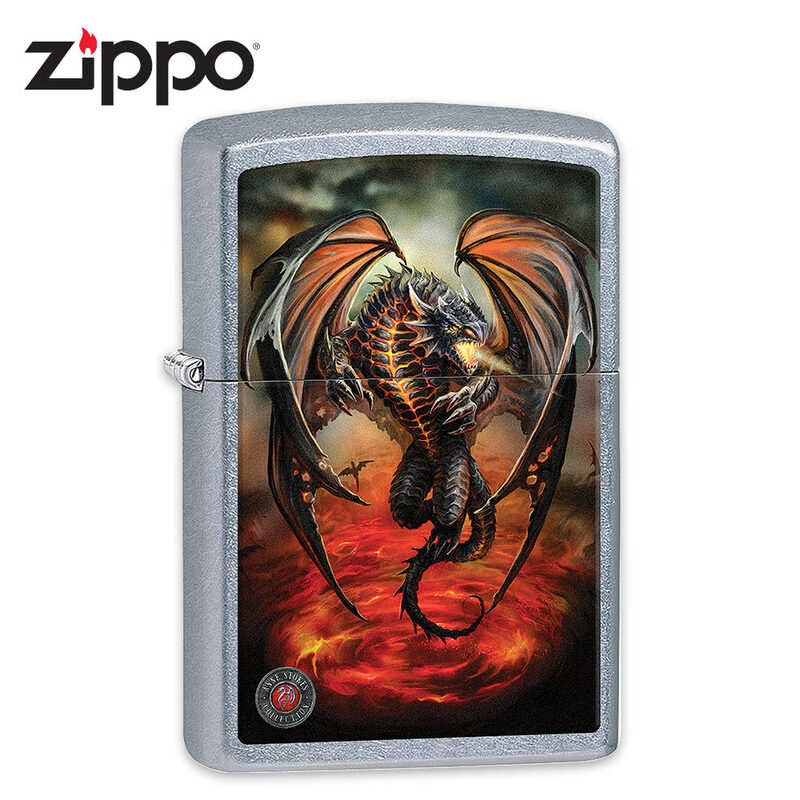 Zippo has partnered with her to bring you this beautifully detailed, fiery image of a rising dragon. It is color imaged on a street chrome case, which includes the Anne Stokes Collection insignia. The windproof design assures you that your lighter will work virtually anywhere and, as always, when you invest in a Zippo, you get the Zippo lifetime guarantee.